Michelle Loong, born to a Malaysian father and Taiwanese mother, started her career in executive search in Malaysia, moving to Shanghai and subsequently now in Hong Kong. She has worked in several search consulting firms before moving in-house at MSCI as their Asia Pacific Head of Talent Acquisition. 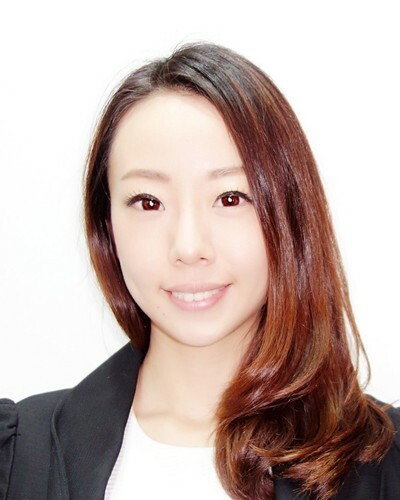 She currently works with Richemont Asia Pacific in Hong Kong, leading their Talent Acquisition. A huge advocate for talent, Michelle believes it is ultimately people that will make the difference and drive a competitive edge for a business. A firm believer in diversity and inclusion, gender diversity is a topic she holds close to her heart. She describes herself succinctly as “Made in Kuala Lumpur, assembled in London, test driven in Shanghai and now cruising in Hong Kong”. Why is gender diversity important to you? First and foremost, I am a strong advocate for talent, be it male or female. I believe in gender equality and gender diversity. Part of my role in Talent Acquisition is to help build and elevate my company as the employer of choice. I read that according to the World Economic Forum’s 2017 Global Gender Gap Report, they calculated that at the current rate of change it will take 217 years to close the economic gap between genders – 47 years longer than they projected in 2016 and 99 years longer than predicted in 2015. These figures are quite astonishing. In my career, I have been very blessed to have been able to work with some of the best leaders, managers, peers and team members all of whom have helped shape me to become who I am today. I am grateful and thankful for the opportunities, lessons and support that I have found throughout my career in different companies, industries, cultures and countries. Can you share some of the initiatives in your current company or your previous companies and what they have done to empower female employees? Women occupying strategic positions within the Maison (Brand) are supported by two key areas – leadership development and personal branding – to help them towards their full potential. The company also has an annual international business plan competition (created in 2006) to identify, support and encourage projects by female entrepreneurs. What do you think companies in Hong Kong can do better in terms of addressing gender diversity? I think companies in Hong Kong can do more — much more. First, we need to be true to ourselves and be open, honest in acknowledging and recognizing we need to do something to address it. Authenticity and transparency is key here. While senior management might talk about gender diversity and say they support it, employees across all levels need to feel, experience and really witness this themselves. This really should start from the top and be disseminated through every level of the organization. There are many things we can do and while we do not have to do everything at once, we must start somewhere. Talking and acknowledging is one thing but real steps need to be taken actively towards it. Support and implement flexible working hours, working from home arrangements, child care facilities, nursing rooms, etc. Any advice for women in the workplace? Your career is in your own hands. If you do not care, no one will. Do not leave it to someone else. Know who you are and what you want and go for it. Take risks! Be resilient and never, ever give up because success might be just around the corner. And most importantly, women as a collective should start proactively supporting each other more! Always pursue your dreams and live the life you want! Isabelle Tsang is a Managing Executive specializing in Accounting and Finance, with over 8 years of solid experience in leading global MNC’s prior to joining Argyll Scott. With an extensive background, paired with her in depth knowledge, Isabelle is confident in offering the best advice to both clients and candidates.